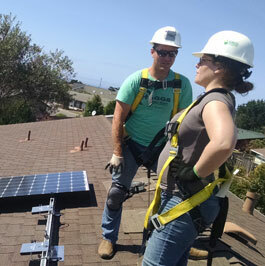 There are several Community Choice Energy programs already operating successfully across the state of California, and in other states. Visit the Local Energy Aggregation Network website to learn more about CCAs across the United States. The programs in California are already reducing greenhouse gas emissions by millions of tons per year, while reinvesting in their communities in the form of job creation, renewable energy infrastructure, energy efficiency programs and lower electricity prices. Each one is tailored to the goals of its own members, because they’re all locally designed and controlled. The California Community Choice Association (CalCCA) is an organization that represents the interests of CCE programs at the state level. CalCCA provides a unified voice for CCEs to the legislature and state regulatory agencies, and has information about the CCE Operational Members on their website. Here is a link to CalCCA’s most recent Quarterly Update (Jan 2018). See a map of all the operating and developing Community Choice Energy programs in California on the Clean Power Exchange site.